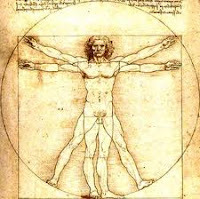 This past April, John Authers' article "Crack the da Vinci code for money masterpiece" in the Financial Times cited the seven principles driving Leonardo's thought process as interpreted by Michael Gelb in his 1998 book “How to Think Like Leonardo Da Vinci”. Curiosita (Curiosity): An insatiably curious approach to life and unrelenting quest for learning. Dimonstrazione (Demonstration): A commitment to test knowledge through experience, persistence and willingness to learn from mistakes. Sensazione (Sensation): The continual refinement of senses, especially sight, as the means to enliven experience. Sfumato: A willingness to embrace ambiguity, paradox and uncertainty. (Try to reduce the number of times you see things as an absolute, and reduce words such as totally, always). Arte/Scienza (Arts & Science): The development of the balance between science, art, logic and imagination. Corporalita: The cultivation of grace, ambidexterity, fitness and poise. Connessione (Connections): A recognition and appreciation for the interconnectedness of all things and phenomena.